Glynn Seal of Monkey Blood Design has very kindly given me a copy of the work in progress The Midderlands Expanded, which is currently on Kickstarter. So in return here’s a quick preview. Put concisely its the slightly grimdark, slightly tongue in cheek version of medieval Britain that goes through collectively our imaginations as we visit the many historical sites peppered around this Green and Plesant Land of ours. The first book, a full-colour hardcover, weighing in at 200+ pages A5, The Midderlands zooms in on the fantasy version of the area that Glynn lives in the West Midlands (Midlands to Midderlands get it?). Its one half setting guide and one-half bestiary of various goblin folk and spiky and foul creatures. It oozes playability and flavour and is copiously illustrated and has attendant maps throughout. 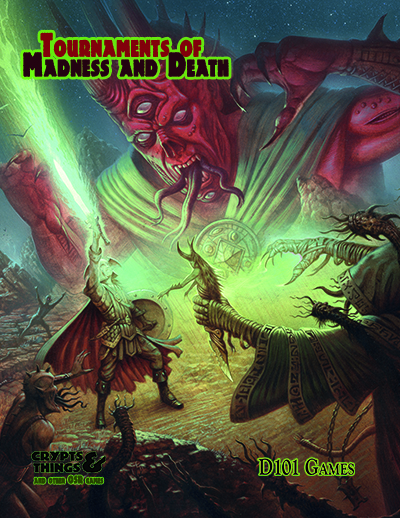 While it uses the freely available Swords and Wizardry ruleset, which in turn is based on original D&D, it’s easily usable with the fantasy system of your choice. If you didn’t get the original book you can pick it up as one of the pledge levels in this Kickstarter. I could be lazy and say, come on its more of the same! But I’ll break it down a bit. Guide to the Havenlands. One thing the original book immediately left me thinking about was what the rest of Havenlands (the wider Fantasy Britain) was like. Well, this section answers that, detailing both the land and its rulers (the Dukes and Duchess). It also looks at the islands overseas neighbours, such as the fearsome Serpent Lands. NPCs. 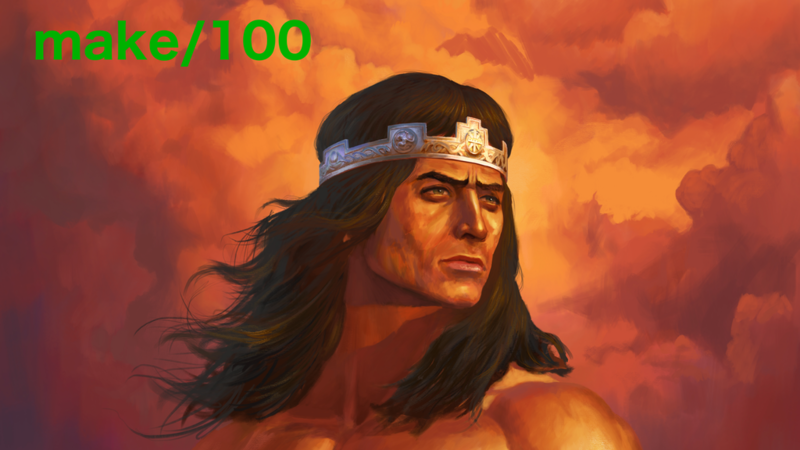 Several fully statted NPCs to drop in your Midderlands game, and some quick notable personages for the rest of the Havenlands. More Creatures. Tentacled Middergloom horrors, Trolls, and more things of general spikeyness abound in this section. The Witchfinder. Want to hunt witches, elves and creatures of the night, generally bringing an atmosphere of fear and anxiety to any village or town you visit? Now you can with this Swords and Wizardry character class. Oddities. 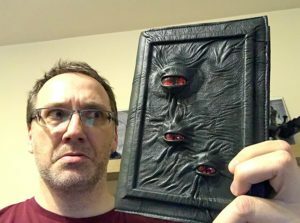 A collection of more magic items, and just downright odd special items. Adventures and Adventure Hooks. The Midderlands has its own style, which is not exclusively dungeon crawling, and there is a large section showing this. This book adds a creepy horror adventure location in the form of the Rat Dog Inn, expands upon the rocky outcrop of land known as Brig Tor, and gives seven adventure outlines. 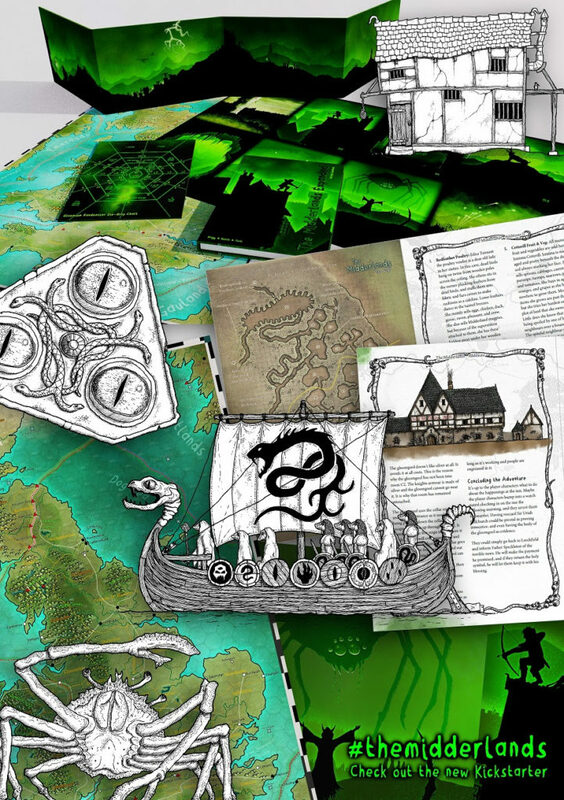 As well as the book itself the Kickstarter also includes a full A2 map of the Havenlands, a GM screen and a Dice Drop Card (or Gloomioom Randomiser Card as Glynn colourfully calls it). Overall. The Midderlands is a living breathing imaginary version of Fantasy Medieval Britain, with a good dollop of uplifting humour that makes it a fun and easy read. The production values of the first book where high, not only because of the layout, illustrations and cartography but because Glynn choose to use a printing house rather than print on demand. I know he plans to do the same again here. I fully recommend the new book from what I’ve seen in the preview, not only based upon the high standards of the first book but as a wider zoom out on the setting overall and the all the extra meat that it adds to the original. 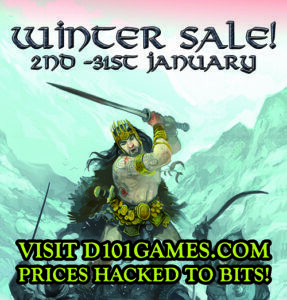 By Krum, I’m having a 50% off Winter Sale over at D101 Games! 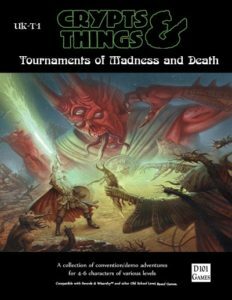 Crypts and Things, OpenQuest, The Hollow West, Hunters of Alexandria, Gloranthan Adventures, Hearts in Glorantha, River of Heaven, Project Darklight and their associated adventures/supplements. Seeing as I want to clear out some space for new stock, the large number of River of Heaven softcovers I have have been reduced to £5 ($7) each. Also its the end of the line for Project Darklight, so it’s your last chance to pick up one of the last five remaining copies of the game for £5. Free Postage to UK addresses for orders over £10. Visit the D101 Games web store to go to the sale.